Professionals interested in practicing law in the United States need a strong foundational understanding of the American legal process, and even legal professionals practicing in other countries may find that American law serves as the basis for many legal issues.. USC Gould School of Law gives students the opportunity to build a foundation and expertise in several key important topics in the American legal field, especially from key courses such as Topics in American Law. Defamation has become a particularly important topic in American law due to the recent rise in social media and online defamation. According to The Conversation, in 2007, just 17 percent of defamation cases involved digital statements. This jumped to 53 percent in 2017. Defamation can take place in blog posts, online chat rooms, social media sites, and even in the comment section of online newspapers, blogs, and magazines. Legal professionals have the opportunity to establish themselves in a rapidly evolving field by pursuing a specialized focus on modern defamation cases. Learning more about this topic will better prepare you for the challenging landscape you’ll find with online cases of alleged defamation. This is another area where the advent of the internet has dramatically changed the legal landscape. Individuals are now at risk for an invasion of their right to privacy in many forms. For celebrities, these forms are often disguised as journalism, though they push and often overstep the bounds of what’s legal. In some cases, celebrities themselves have been charged with invasion of privacy for making public the plight of other citizens, as in the case of former Playmate Dani Mathers, who posted a Snapchat of a woman in her gym’s locker room without the knowledge or permission of that individual. Today’s apps and internet access create a vast new landscape for lawyers to explore here. Negligence can result in property damage, physical injury, or death. Both individuals and businesses can face claims of negligence. It’s left to discerning lawyers to investigate the facts and determine how the law applies to each case. In the United States, there were around 2.9 million nonfatal workplace injuries and illnesses in 2016. In cases where these are the result of alleged employer negligence, it’s important for the law to protect the victims of these accidents. Given the vast number of case related to negligence and liability, legal professionals who hone their expertise in this field have the opportunity to make themselves invaluable to clients and their firms. Criminal law is a broad topic that covers many areas where definitions are notoriously unclear. This is where law professionals are tasked with stepping in to argue for the plaintiff or defendant in a case where the jury or judge might be swayed to interpret the law in one of two ways. Students who are interested in deepening their understanding of American law should take the time to explore how criminal laws differ from state to state so they can better understand how these cases are handled throughout the country. 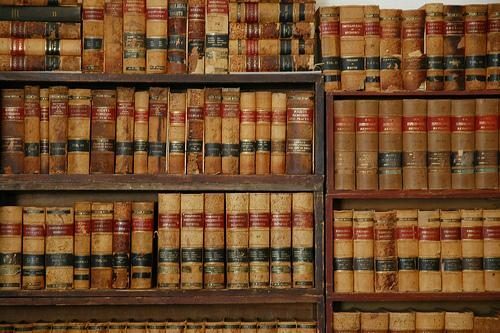 To thoroughly understand criminal law, one must understand what qualifies as a crime, how criminal procedure takes place, and what rights are applicable to both the defendant and the plaintiff. One must also understand criminal law punishments and how these are assigned at sentencing should the defendant be found guilty. In order for the defendant and plaintiff to receive a fair and valid court proceeding, individuals must follow the appropriate procedures regarding evidence. Evidence may be demonstrative, documentary, real, or testimonial. Evidence may also be classified as hearsay when it does not come from a firsthand witness. Practicing American law, it’s crucial that you understand what evidence will stand up in our court system and how to obtain it. From ethically preparing witnesses to dealing with hearsay evidence that doesn’t come directly from the source, you must know how much weight evidence carries and how to properly use it in this legal system. Students who want to continue their education beyond an undergraduate degree in law can begin by pursuing an LLM degree online with the USC Gould School of Law. This program is designed to meet the needs of international law professionals and law graduates seeking opportunities for a U.S.-based study of law. Connect with the Gould School of Law to learn more. FindLaw: What Is Invasion of Privacy? LegalZoom: Objection: Hearsay! What is the hearsay rule, and what are the exceptions to it? 1. Which degree or certificate are you interested in? Which degree or certificate are you interested in?